vintageTEK, a Museum for vintage Tektronix equipment and memorabilia from the Tek heyday 1946-1985 will open for Public Viewing Friday September 16, 2011 at 9am. Public Hours will be Fridays and Saturdays only until our Volunteer Cadre is fully determined.Technical Volunteers have been working on Wednesdays since 2010, repairing and refurbishing instruments for display. The Museum is located at 4620A SW Beaverton Hillsdale Hwy, between Shattuck Rd and 45th, on the South side. 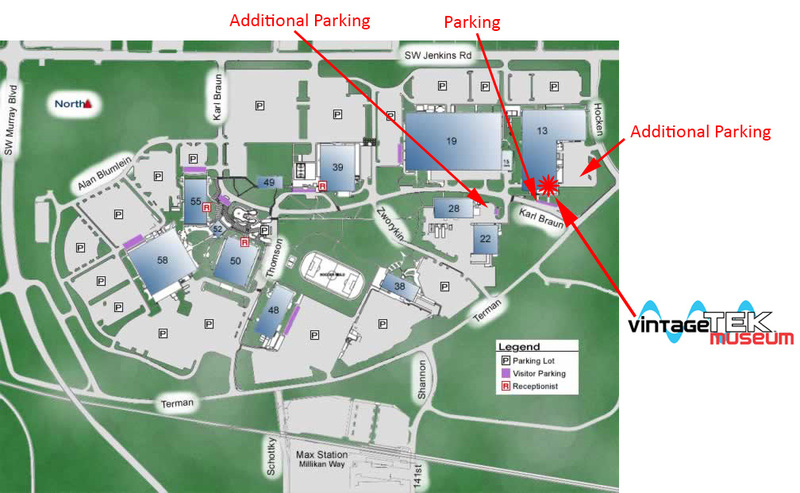 Parking is available in the East parking area, and behind the building. On street parking is limited to 30 minutes. Admission is Free, and donations will be encouraged and apprecated. 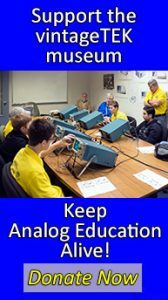 Visit our website at www.vintagetek.org and become a Museum Member. Your page doesn’t say what city and state.. Them? Let me know. Cheryl. Please contact me. I found john recently and a relative was living at his home saying he was in a rest home? whose email address was connected to the Admin profile. Hi, I saw the article in this morning’s Oregonian. My Dad was an electrical engineer and had several of these. He would always show us them in operation and explain what they were doing. I never understood it as a kid. Dad has since passed, so I’m looking forward to visiting and maybe I can understand how these are used to troubleshoot electronics (I’m 44 now). Thanks for your efforts!